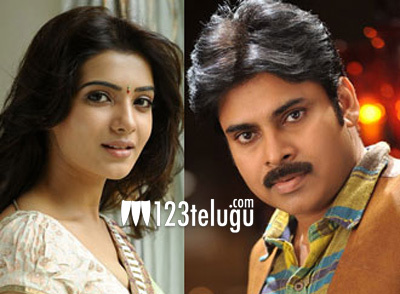 Samantha in talks for Pawan’s next? It is well known that Power Star Pawan Kalyan has been in talks with his Khushi director SJ Surya for a possible reunion. The film is said to be produced by AM Ratnam even though nothing has been made official till date. As per the latest buzz, gorgeous actress Samantha is said to be in talks for the Pawan-SJ Surya film. Talks are reportedly in initial stages and one needs to wait until an official confirmation is made. Samantha’s earlier association with Pawan resulted in a huge blockbuster in the form of Atharintiki Dharedhi. No doubt that this combination will set fans’ expectations soaring if it materializes eventually.